The first destination on our Trip of a Lifetime was Copenhagen, Denmark! The reason why we did a quick visit here is because Shane has Danish cousins living in Denmark. So, this was our first visit to one of the Nordic countries! 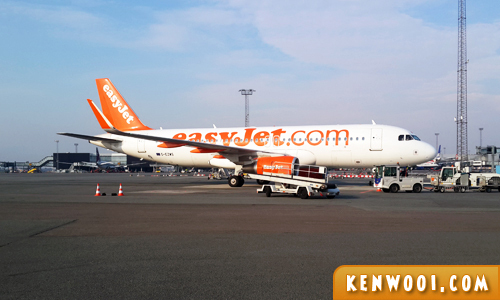 Upon arrival at London the evening before, we took EasyJet from London’s Gatwick Airport to Copenhagen Airport. 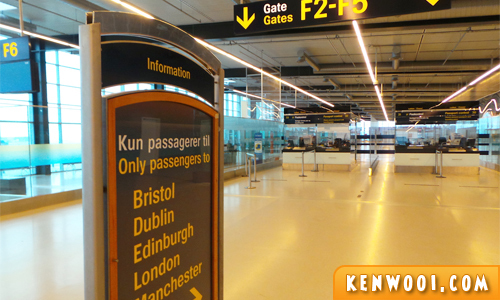 We were there for 3 days 2 nights – a short visit before we embark on our maiden Europe Taster Tour with Expat Explore. Since we (I mean Shane) have relatives here, accommodation was provided for – a gesture we really appreciate! 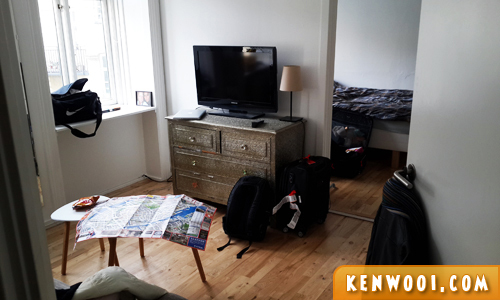 This cozy apartment room is located right in the city of Copenhagen. Just so you know, a month’s rental here is about DKK4,200 which translate to a whopping RM3,000 – cost of living here is really high! The currency in Denmark is the Danish krone. 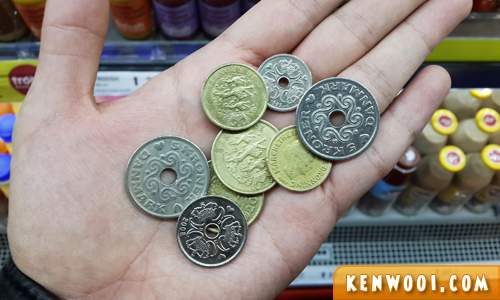 Our exchange rate was DKK1 to MYR0.71 in October 2015. These are the coins for smaller denominations. 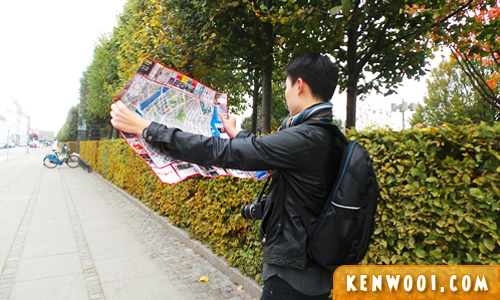 After settling down, we set off to explore Copenhagen! There are various point of interests as seen on the Internet but they didn’t really interests me. 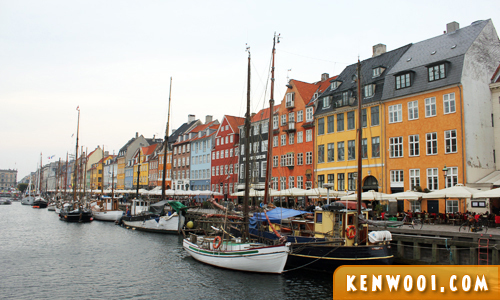 Nevertheless, we stopped by a favourite tourist spot – Nyhavn. Its pronunciation sounds like the “Hello” in Mandarin – Ni Hao! 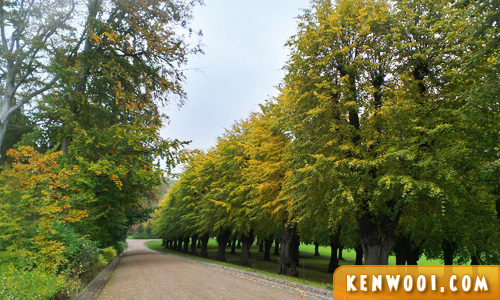 Besides that, we went for a stroll at the largest park in Copenhagen – Frederiksberg & Søndermarken Gardens. It’s always fascinating to have parks within the bustling city. Good place to chill… and even run! 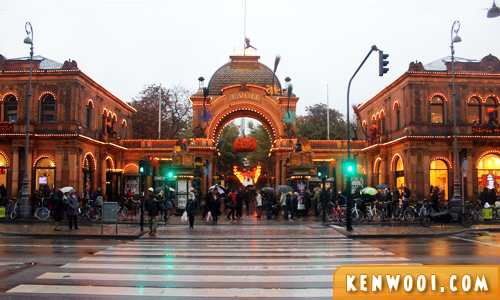 We also went to Tivoli, the famous amusement park which is located right in the middle of Copenhagen city. 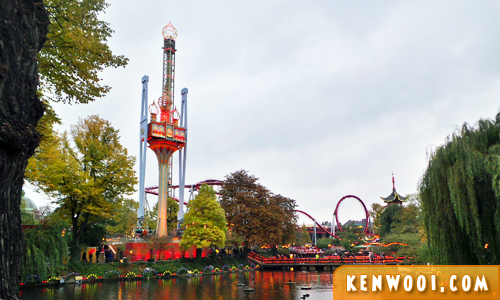 Entrance to Tivoli costs DKK99 (RM70.30) per adult, not inclusive of rides. A separate fee is charged for every ride or you could also get an unlimited-ride pass. But, we felt that we were too ‘old’ for the rides. Anyway, we didn’t explore much of the Danish food except for a dinner around Nyhavn. Most of the time Shane’s cousins will buy groceries and we eat at home. This was one of our few meals in the apartment. 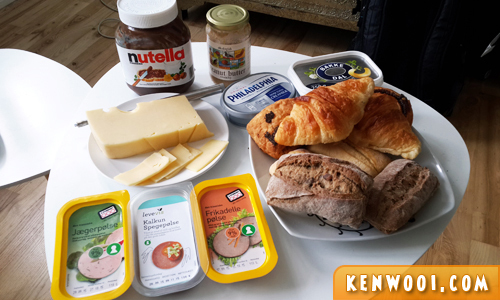 It’s very much like sandwich making – and much cheaper than eating out. It’s just perfect for budget travelers like us. 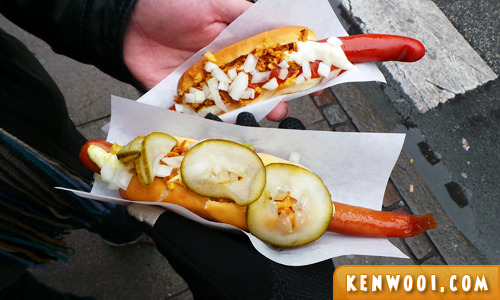 Other than that, we had hotdogs on our last day in Copenhagen. Apparently it’s a Danish thing to eat hotdog from a hotdog stand. Here’s one of the friendly hotdog sellers we met! 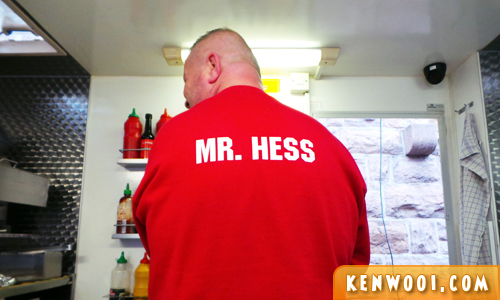 Mr. Hess! His stall is located just outside west exit of the Central Station. 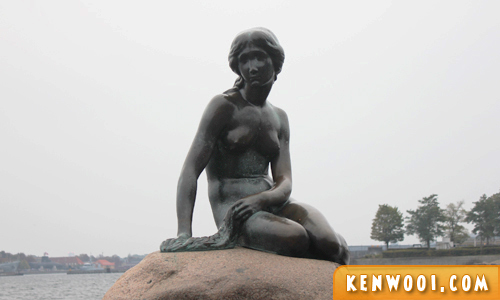 Anyway, what’s being in Copenhagen without laying our eyes on the famous Little Mermaid statue, right? 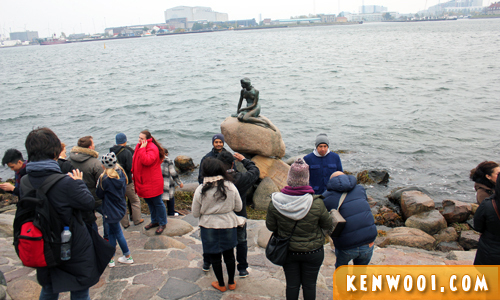 This small and simple statue, based on the “Little Mermaid” fairy tale by Danish author Hans Christian Andersen, is surprisingly a major tourist attraction. Just look at the crowd when we arrived. Honestly, the statue is pretty mediocre. And you know what, another statue nearby SHOULD be given more attention. It’s the statue of David by Michelangelo! Momma.. what’s that between his legs?! Anyway, that’s pretty much the highlights of our pit-stop at Copenhagen. I wish I could have seen more, but time was running short. Admittedly, I didn’t do much research about Copenhagen and since it’s my first time here, I had to rely on the map very frequently. Nevertheless, it was fun to be there! Special thanks to the Knudsens for the warm hospitality!